People in some Minnesota communities are routinely exposed to pesticide drift from nearby farm fields, according to a new study released Thursday. The chemical in question, a commonly used fungicide called chlorothalonil, is under increasing scrutiny. Devices to monitor pesticide drift from nearby fields were set up for three years at 19 locations across central and north central Minnesota, including Browerville, Frazee, Perham, Pine Point, Staples and Waubun. Chlorothalonil was found in about two-thirds of the samples. Chlorothalonil is widely used to prevent potato blight. It's also commonly used on golf courses. Chlorothalonil is the most commonly used synthetic fungicide in the United States. Chlorothalonil-containing products are sold under several names, including Bravo, Echo, and Daconil. The most recent information available from the Minnesota Department of Agriculture showing the amount of chemicals sold in 2009 indicates chlorothalonil sales rank just below atrazine, a common corn herbicide. 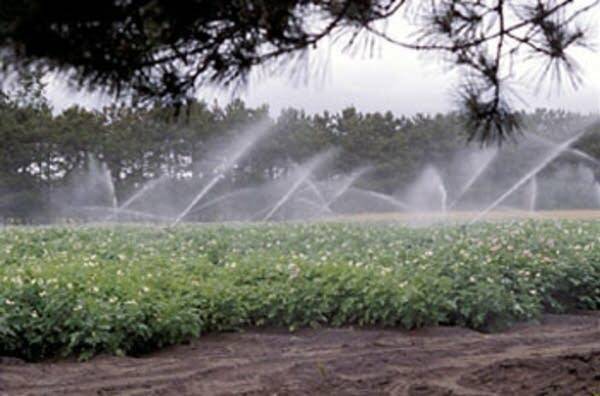 California-based Pesticide Action Network compiled the data for the Minnesota study. The organization's lead scientist Emily Marquez says current Environmental Protection Agency regulations of chlorothalonil don't consider that people might be exposed by inhaling the chemical. Marquez says this study is evidence the regulations need to change. "Since we know now that it drifts in these people's communities where they live, we know they're inhaling it," said Marquez. "We need to change the way risk is assessed so that inhalation studies are taken more into account. The EPA has recommended doing this, but they're not quite there yet." EPA plans to reassess the safe exposure level for chlorothalonil, but it's unclear how long that review might take. An EPA spokesman said no one was available to be interviewed for this story. EPA does list chlorothalonil as a probable cancer-causing chemical. In Minnesota, the Agriculture Department is responsible for enforcing pesticide regulations. The agency is unlikely to change any policies because of this study, according to John Peckham, inspection unit supervisor in the pesticide and fertilizer division. There's no evidence in this study that farmers applying the pesticide are doing anything wrong, he said. "This was not an issue with misapplication," he said. "This is really more about volatalization of the product, which is the movement of the material or particles after the application." Volatalization is what happens when a liquid pesticide turns to a gas after it's sprayed on crops. The gas then drifts off the field and spreads to surrounding areas. Federal regulations don't consider volatalization to be pesticide drift, according to Peckham, so that means it's technically not a violation of regulations. Still, Peckham said the Agriculture Department will investigate any complaint about pesticides showing up where they're not supposed to be. He says there aren't many complaints about chlorothalonil. "We've investigated seven cases since January of 2007. And in four of those we did substantiate some type of violation," said Peckham. Several Minnesota residents complain they've been exposed to chlorothalonil for a decade or longer because they live near large potato fields. Carol Ashley, who lives in Park Rapids, spoke Thursday at a State Capitol press conference about the environmental effects she observes. "I noticed huge numbers of dead birds along a road between a couple of fields," said Ashley. "It grieves me to see the devastation of the wetlands and woodlots, the water and quality of the air we breathe. I wish we could value life at least as much as the almighty dollar." There's a growing body of evidence about the environmental effects of chlorothalonil. Researchers in Florida recently published two studies showing the chemical is highly toxic to frogs and other aquatic species. Biologist Taegan McMahon at the University of South Florida tested the fungicide on several species of frogs at the expected environmental concentration -- the amount of the chemical likely to be in the environment as a result of normal use. "Those expected environmental concentrations caused nearly 100 percent mortality in all of the amphibians," said McMahon. "It caused mortality within 24 hours, so it basically killed off all of the amphibians." The study found even levels of chlorothalonil four times lower than the expected environmental concentration caused high mortality rates in frogs. Pesticide Action Network officials say they hope to continue and expand their monitoring of pesticide drift in Minnesota.